Sentenced to life in prison for dealing drugs, Jason Hernandez wrote his way into a commutation from President Obama. President Obama has granted a record 774 clemencies, with 102 issued at once on Thursday. Most of those getting their freedom back were low-level, nonviolent drug offenders sentenced under discontinued mandatory-minimum guidelines that imposed long—and often racially disparate—punishments during the War on Drugs of the 1980s and 90s. Jason Hernandez knows the overwhelming joy and relief of hearing that an application for clemency has been accepted. He was sentenced to life in prison for dealing drugs in his Texas neighborhood when he was 21; today, he is free. The story of how he landed among the “Obama Eight,” an early group of prisoners granted clemency in 2013, sheds light on the president’s unprecedented emphasis on the issue. 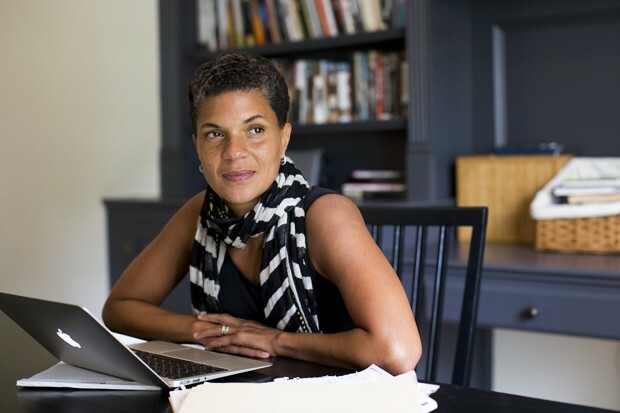 A conversation with the civil rights law scholar Michelle Alexander on how to dismantle the mass incarceration crisis in the U.S.
Hernandez picked up a clemency application at the library of the federal corrections institution in El Reno, Oklahoma. But filling out the basic information seemed insufficient to him. “I just wanted to do something more than that because I felt that my case needed more than your average eight-page application,” he said. He was convinced that the odds were stacked against him in a sea of thousands of applications. “I know your odds decrease greatly if you are a minority drug offender and if you are serving life without parole,” he said. Fellow inmates laughed at him for pursuing the application “because the chances of me getting it were like hitting the lottery twice,” he said. But Hernandez, now 39, had done something while in prison that would ultimately help him create a successful application: He’d studied law through correspondence paralegal courses. “I was what was known as a jailhouse attorney,” he said, while recalling the types of forms he’d help others file, like direct appeals, motions for reduction of sentences, and inmate grievances. He also took up reading judges’ opinions that offered their perspectives on the War on Drugs, and its unbalanced sentencing guidelines. Beyond the formal application, Hernandez created a portfolio with essays, letters of support (including one from his arresting officer), personal histories, and examples of the rehabilitative and educational programs he’d undergone while in prison. He proudly recalls the hard-back binder with blue covers he took such care in arranging. Already involved in mentorship programs at the prison, he also assisted in monitoring and speaking to inmates placed on suicide watch. He even founded a grassroots organization, Crack Open the Door, while incarcerated, which assists inmates in applying for clemency. Hernandez did all of this with limited resources and no support from authorities at his prison. It simply did not occur to him that such a thing was possible. Today, when he counsels people undertaking their own clemency application, he encourages them to get support letters from the warden, from a counselor, and from superiors. But he does recall that he had “good remarks” from prison authorities in his file during the periodic prisoner reviews. Aware that inmate recidivism is a major concern for patrol boards and anyone considering a released person’s ability to resume a life free of crime, he added support letters from his parents, from their church, and county officials who vouched for his parents as stand-up residents. He went one important step further. He addressed his plea directly to Obama. “I told the president about the things that I wanted to do when I got out. I wanted to help out formerly incarcerated kids, kids that are being incarcerated. That I not only wanted to do that when I was out, but I was doing that while I was in already,” he said. An uncommon move back then, the letter was a final personal appeal—man to man—to the one person who had the power to offer Hernandez a chance at redemption. Hernandez doesn’t see things that way anymore. “It took a lot of educating myself and experiences to learn that’s not who we are, that we’re a great race of people. I put that in, and I sent it to the president,” he said. He has successfully helped three former inmates gain their freedom, including Josephine Ledezma, who was released earlier this year. She was serving life without parole and had already put in 24 years. He says he was really moved when he saw pictures of Ledezma. “I seen her, I seen my mother. This lady was already supposed to be in her 60s, and I could not imagine my mother being in prison.” As Hernandez tells it, in 1992 Ledezma’s father was selling drugs and went out of town. He left instructions for her to help some associates of his when they came by the house. Subsequently, she, her father, and brother were arrested. The two men went on the run. Though she knew where they were, she did not give away their location. Prosecutors tried to threaten her with life in prison and eventually made good on their threats when she refused to cooperate. Her brother was arrested some time later and her father passed away before law enforcement caught up to him. Ledezma’s application, which Hernandez prepared at no cost, included a letter from her representative in Congress to the pardon attorney and a personal letter addressed to Obama. Hernandez’s strategy is to personalize applications, to make the person—flawed but repentant—appear ready to rejoin society as a redeemed sinner. “No matter how good your case is, if you do not accept responsibility, you are not going to get it,” Hernandez said. He’s often asked to look over denied applications by dejected family members. “The most important thing is that your son, daughter, or husband didn’t accept responsibility,” he has often explained. To his dismay and frustration, many inmates are “just sitting in prison waiting for the government to appoint them counsel. Sometimes they do and sometimes they don’t. They’re not taking the initiative,” Hernandez said. Although today’s petition is easier to complete and file, scores of potential applicants simply do not file. “Again, the acceptance of responsibility. That plays a key factor in it,” he said. Today, “thousands of Americans are still serving long sentences that current law no longer requires,” according to CNN. As Obama’s time in office comes to a close, the number of clemency applications has increased dramatically. A year ago, 9,115 requests were under consideration at the Department of Justice. Today, that figure hovers over 12,000. Among the latest clemencies granted by executive order, 35 stand out because they reversed life sentences, with some inmates expected to receive their walking papers as soon as February. This article originally appeared in The Atlantic as part of the Next America: Criminal Justice project, which is supported by a grant from the John D. and Catherine T. MacArthur Foundation.